Many of us struggle with stress and weight loss on a daily basis. Their are many reasons we get stressed out, including the aging process, our jobs, our children, weight loss or maintaining a healthy weight, and most importantly, our health. In one of my archived TriVita Wellness Reports, TriVita’s Previous Chief Science Officer, Brazos Minshew, the focus is placed on stress and how it relates to obesity. If your life is filled with stress, Mr. Minshew has some good advice for you. If you’re struggling to lose weight, continue to read. I’ve pulled some key points from of the article. I know that the person enduring unimaginable stress is more likely to be obese – even morbidly obese. This is a physiological reaction from the immune system and the process of homeostasis (the process that pulls us back together when stress is pulling us apart). Worry is the stress that pulls us apart. However, worry goes beyond the mental and emotional process that causes distress. He goes on to explain worry, something that a lot of us face on a daily basis. So what is worry? Worry is the process of anticipating events or outcomes that are possible but unknown. For example, we are all worried about our health and the health of loved ones. As long as no distressing symptoms occur, our level of worry is minimal. However, a new pain or ache, a lump or bump, a change that is not anticipated sends our “worrier” into overdrive. The recent downturn in the world economy has created fertile soil as a new source of worry. Our senses carry information to us from outside or inside our body. These are our five senses (touch, taste, sound, smell and sight) plus our intuition – the ability to “fill in the blanks” of the unknown based on our experience and intellect. We project what may happen in the future and assess whether or not we have the resources needed to cope with anticipated outcomes. Worry is a survival mechanism because it allows us to forecast with some accuracy what resources we may soon need. We do this through our experience and intellect. With a bad experience or two in our history, we may also get into the habit of always predicting bad outcomes. This is called “catastrophic thinking” because we anticipate catastrophes from even normal, everyday events. So, a simple fever is bubonic plague and a skin rash must be Ebola virus! To prepare for these awful events we may initiate the fight or flight response, releasing copious amounts of adrenaline. Or, based on past failures to cope, we may select an opposite response called learned helplessness, releasing immune-suppressing hormones and chemicals. Now that we all know what worry is, how is it linked to obesity? Interestingly, worry has an effect on our appetite and metabolism. For example, when worry triggers the fight or flight stress response, our liver will dump enormous amounts of sugar into our bloodstream. Our pancreas will also secrete huge amounts of insulin into our system to carry that sugar into the muscles to fight-or-flee as a response to the emergency. In chronic worry we simply never get to use all that energy and the hormone cortisol stores it in the fat cells of our abdomen, etc. These fluctuations in metabolism will often create eating binges where we feel we can’t get satisfied no matter how much we eat. Both fight-or-flight and learned helplessness trigger your body (especially your muscles, your “muscle worry”) to anticipate future energy use. So, the muscles and adipose (fat) tissues store energy as fat and the result is that you gain weight. Stress and worry all by themselves can create obesity – even if you eat a perfect diet! So, is there anything that we can do to prevent us from gaining weight, as a result of being under tremendous stress? Recognizing the problem is always the first step. This is difficult because we live in a stressful world; there are real dangers requiring fight-or-flight responses. Also, people really do get sick with catastrophic illness, though not so many get bubonic plague or Ebola virus! It would be foolish to ignore danger signals and face real catastrophe. That said, the majority of the things we worry about never happen, do they? Train yourself to appraise situations correctly to reduce stress and worry (see the article “Think Therapy” below). Recognize that stress and worry elicit powerful hormones that need to be discharged. Exercise is the best way to get rid of these pesky hormones. And even three deep breaths can reduce the anxiety you feel when stressed. Nutrition plays a vital role in breaking the stress/worry/obesity connection. First, adaptogens interrupt the cycle of stress and allow us to face our challenges with renewed resources; we will be able to cope with more issues with the greater resources provided by adaptogens. Next, specific nutrients found in some weight loss capsules break the cortisol cycle and discourage our body from storing “worry” in our fat cells! The day-to-day stresses we face will not end. And for the present, there will always be another world tragedy looming on the horizon, such as an economic downturn. Learn to appraise them without panicking. Build a bulwark against stress with adaptogens. Help break the cycle of cortisol with popular weight loss capsules. 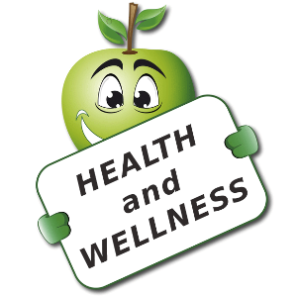 Learn and live the 10 Essentials for lifetime wellness! To back up what was mentioned in the previous article, look at some “health problems related to stress”: 10 Health Problems Related to Stress. Within the previous article, there are also some additional “stress relief” tips that could help. I’ve always liked the advice, “recognizing the problem is always the first step”, because until we realize we have a problem, we will do nothing about it. Before we can take a step (step number two) in the right direction, we need to know the direction. Many of us don’t know that we’re overweight. It’s not until we get on the scale, or check our body mass index (BMI) that we realize that we have a weight problem. Once we understand that there is a problem, we can do something about it. As with weight loss, it will not happen until we understand the problem and take the first step to do something about it. A popular weight loss system has been mentioned as a means to “discourage our body from storing ‘worry’ in our fat cells.” Although that may be true, what does it mean? I’ve also heard that the aforementioned weight loss system may be one of the easiest systems to follow. If you’re looking to lose weight, relieve stress, and live a healthier lifestyle, take the first step. To learn more about TriVita®, or the popular weight loss system, click on one of the previous links.